IWF -Should Women Pay More for Healthcare Services? Last month, the Department of Health and Human Services (HHS) issued a “final rule” prohibiting discrimination in healthcare and health insurance, clarifying a policy already laid out in the Affordable Care Act (ACA). Gender, race, disability, age, and place of birth should not affect the cost and quality of care a person receives from any provider receiving federal funding, the final rule states. This announcement did not inspire many headlines, perhaps because many Americans have already been reaping the benefits of the ACA’s antidiscrimination policy for several years. For women, however, the changes could have a major impact. Before the ACA, women buying insurance on the individual market were routinely charged up to 50 percent more for monthly premiums than men. In some cases the gap was as high as 81 percent. The practice, known as “gender rating,” is similar to car insurance companies charging a higher premium to insure teenage drivers. When it comes to health insurance, women are considered a higher risk than men because they tend to visit the doctor more frequently, live longer, and have babies. Whether or not women truly cost health insurance companies more money is up for debate. Regardless, gender rating is now illegal. Under the ACA, insurance companies are prohibited from charging women more than men and are required to cover the total cost of certain key preventative services specific to women’s health, like well-woman visits and contraception. Companies must offer maternity coverage, too, although a loophole in the law does leave some insured women without maternity coverage today. Some advocacy groups like the National Women’s Law Center (NWLC) and the American Civil Liberties Union (ACLU) have celebrated the policy change. But it has also been met with criticism from those who believe insurance companies should be able to consider risk factors when taking on customers. Hadley Heath Manning, director of health policy at the Independent Women’s Forum, a right-leaning think tank, argued in favor of gender rating in a 2013 opinion piece published in Time Magazine. “If fairness were really the guiding principle, it would be quite simple: women would pay more for health insurance because women consume more health care,” she wrote. Manning told Healthline that her opinion hasn’t changed in the years since that piece was published. “I still believe that gender based pricing should be a tool that is available to insurers,” she said. Taking away the ability of health insurers to assess risk and charge on the basis of that risk, Manning says, means that some people pay premiums that are too high while others pay premiums that are too low. On a broader level, though, the issue “gets to the heart of what health insurance is,” Manning said. Health insurance is unique in that it covers routine services and not just unexpected costs. Car owners don’t bill their insurance companies for oil changes and tire rotations. Instead, insurance only gets involved when there has been an unseen incident, like a collision, that would have been difficult to save for ahead of time. Similarly, Manning and others have argued, routine doctors’ visits could be taken out of the realm of the third-party payer and paid for directly by the patient. That way, providers can compete with each other to offer the patient the best prices. Some reject the car insurance analogy, however, because caring for cars is fundamentally different from caring for human bodies. “Unlike 1984 Ford Tempos, we don’t send people to the scrap heap if they’re old, infirm, or otherwise financially inconvenient,” Scott Galupo, a political commenter, wrote in a blog post for the American Conservative. 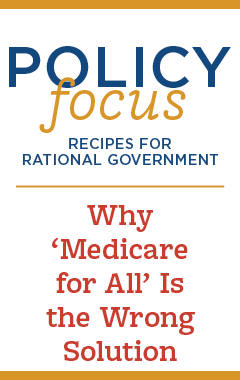 “Actuarially fair health insurance is something that only works for healthy people,” he wrote. To make a profit, the reasonable thing for an insurance company to do is to charge higher rates for sicker people, or avoid insuring sick people altogether. “When we say that anyone should be able to get health insurance, we are saying that someone should be forced to lose money insuring sick people,” he wrote. Even with the government mandates, women’s access to healthcare is far from guaranteed. Women are less likely to be insured than men because their incomes tend to be less, Dania Palanker, J.D., a senior counsel at NWLC, told Healthline. A 2013 Kaiser Family Foundation study found that women still face greater financial hardship than men when it comes to paying for healthcare. One in four women reported putting off care for financial reasons, compared with one in five men. “A lot of what we’re working on now is making sure that insurance companies are providing the services that are required to be covered according to the ACA,” Palanker said. Part of the problem is that the new law is not always clear in what is expected of insurance companies. The NWLC advocates for clear, strong guidance in order to cut down on ambiguity and confusion, Palanker said. The “final rule” issued last month is an example of such clarification. “There are also insurers working very closely with the administration to offer really good coverage through marketplaces and find ways to improve coverage, improve products, and reduce costs at the same time,” Palanker said.